This week I’m going out on a limb to do something crazy. I’m launching my Apps Without Code Boot Camp program- which is a 6 week training for non-technical founders who want to build their own app MVPs. For the last 2 years I’ve been blogging about my experience building the kollecto.com and artcollectingschool.com apps without writing any code. What’s funny is that when I first started, I didn’t even want to blog about this stuff. But 2 years ago, I went through a program called Orbital Boot Camp, which required me to write weekly blog posts about the progress I was making on my apps. Turns out that being forced to blog was a blessing in disguise. So many people have told me that I’ve helped them tremendously by giving them access to a play-by-play of my story building apps as a non-technical founder. And after sharing my story on the TED stage and also at the Lean Startup Conference, I got a lot of people asking me to help them build their own apps without writing code. Until now, I’ve been politely saying no to these folks. But today, I’m launching my Apps Without Code Bootcamp– a program for non-technical founders interested in building software MVPS. I’ve been super inspired by the countless people who’ve encouraged me thus far & I’m excited to be able to help more people in a hands-on way! If you know anyone interested in building their own apps, please direct them to appswithoutcode.com & this blog! I’d love to see them in my next online program (opening July 2016). PS- I’m going through a trial of the program curriculum with a small group of 5 students. They seem to be loving it so far and are making a ton of progress! Pumped to scale & help more folks in July. Hi, Ms. Reed!! Any word on the next bootcamp installment? 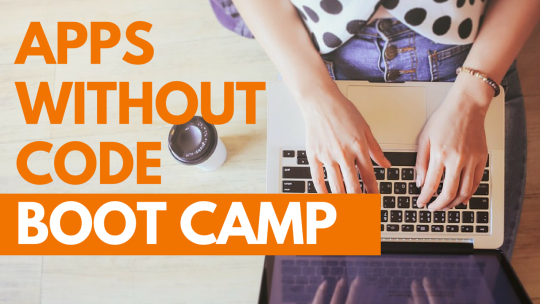 Is our apps-without-code-bootcamp already over? I have been in a stall mode with my app that I started and I don’t know how to finish it!!!! I am stuck at the coding phase and like you I have no coding. Experience or knowledge!!! How do I get into your boot amp to make my dreams of my app coming to life??? You are so inspiring! COULD I work with you to translate your website to Arabic language?